A new classic, this contemporary wood and brass dining table is an investment in style. 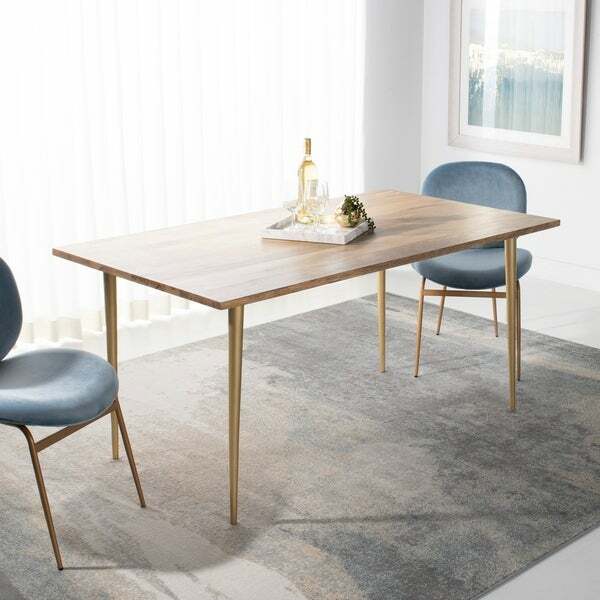 Designed with smooth clean lines, its finely crafted natural mango wood top is paired with warm brass metal legs to create a timeless focal point in any dining room. Dimensions 35.4 In. X 62.9 In. X 29.9 In. Safavieh En Vogue Dining Becca Beige Linen Dining Chair - 22" x 24.8" x 36.4"